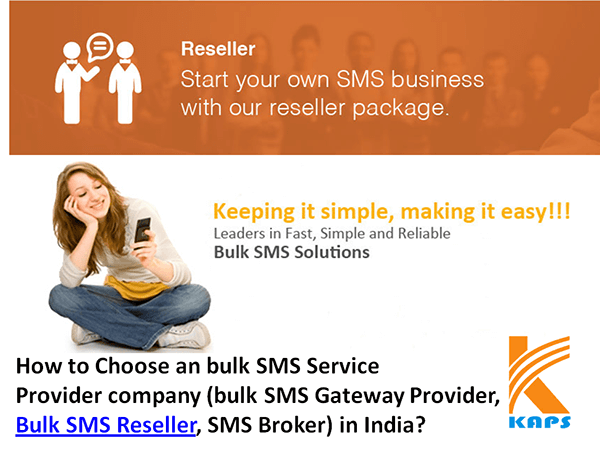 KAPSYSTEM is looking for partners throughout the in India and invites you to be part of the growing Bulk SMS Industry. KAPSYSTEM has the technical expertise, year of experience and service quality to offer an exciting business opportunity. Sell SMS’s through a choice of powerful Bulk SMS Reseller packages. You can own your own Bulk SMS Company, and take advantage of a dynamic and growing industry. Our Bulk SMS Resellers portal is a powerful SMS marketing tool and we are able to white label this for your customers. This means that your customers will see our platform rebranded with your corporate identity, ensuring customer loyalty to you. Through the white labelled portal or bulk sms reseller program, your customers can send bulk texts simply, effectively and cheaply, and manage their own business through the fantastic statistics, This will increase customer confidence and loyalty. No other provider offers resellers this first-class service.